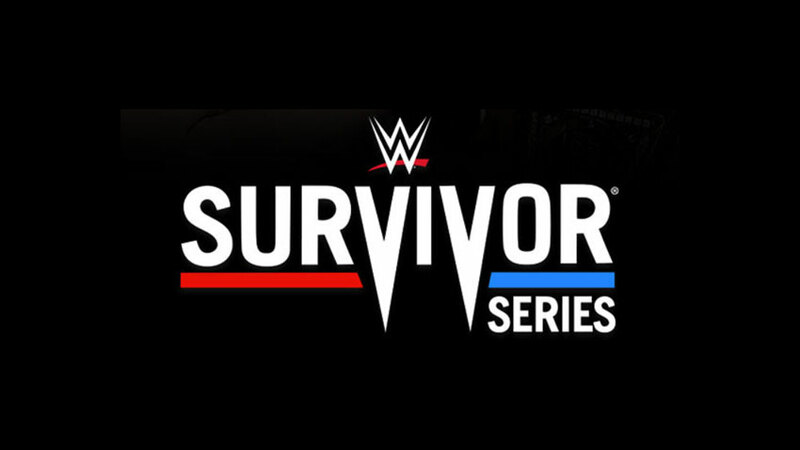 Survivor Series is the 2nd longest running Pay Per View of WWE behind WrestleMania itself and is considered to be one of the big four events along with Royal Rumble and SummerSlam. This year the show was the number 1 trend world wide on twitter and rightfully so, for each match was was filled with high impact action that kept everyone on the edge of their seats. Now it is hard to pick the match of the evening but I bet we all had a lot of fun. The evening started with the Kick-off show and a massive 10 vs. 10 match against the collections of tag teams from Raw and SmackDown. It went from confusing to crazy in a matter on minutes and over all became a very entertaining match to start things off. The match ended with the SmackDown taking the victory over Raw as Jimmy Uso hit Dawson with a splash for the pin. The pay per view began with Women’s Elimination Match, and it was a ringer. There was a lot of back and forth in this bout and crowd seemed genuinely against Nia Jax for injuring SmackDown women’s champion, Becky Lynch prior to the event and making her medical unfit to compete in her singles bout against Raw women’s champion Ronda Rousey. In spite the boos and hate, Nia pinned Asuka while turning on her own teammate Sasha Banks, and won the match for Raw. Mid-card champions from each brand met in the ring and lit the place on fire. Intercontinental Champion Seth Rollins took on the United States Champion Shinsuke Nakamura. Despite of meeting in the ring for the first time, they seemed to have done their homework on each other and showcased their abilities in the ring and rocked the place. Seth Rollins ended up stomping the Japanese Star’s face on to the mat and pulled the victory for the Red brand. Tag Team Champions from both brands were set to take on each other next. Blue side was represented by ‘The Bar’ and the Big Show made a guest ring side appearance for them. 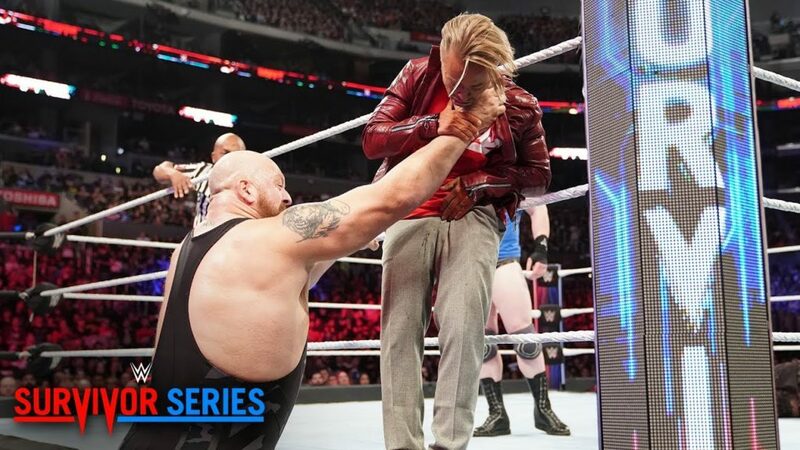 Facing them were the powerhouse team of AOP accompanied by Drake Maverick who ended up peeing himself on Live television after being pinned against the ropes by the Big Show. AOP however, won the match by hitting Sheamus with power bomb finisher. Cruiser-weight Championship between the Champion Buddy Murphy and Mustafa Ali was a ‘do not blink or you’ll miss it’ match. Bodies flew all over the place, some power moves while some aerial maneuvers, some hard falls and some spikes made the crowd cheer ‘THIS IS AWESOME’ and it was absolutely the case. Buddy Murphy took everything that the challenger Mustafa Ali had to offer but the Champ hit his signature finisher, Murphy’s Law and pinned his opponent 1,2 and 3 right down the middle and retained his title. Men’s Elimination Match was a bit of a mess, where Drew McIntyre hogged the spotlight by not allowing Brawn Strowman, his own teammate, in the match, and ended up eliminating Samoa Joe in the early moments of the match. SmackDown kept a united front while Raw’s superstars seemed divided for the most part. Acting general manager Corbin stayed ring side the entire time and watch as his strongest team member, Brawn Strowman got elbowed through the announce table by Shane McMahon. 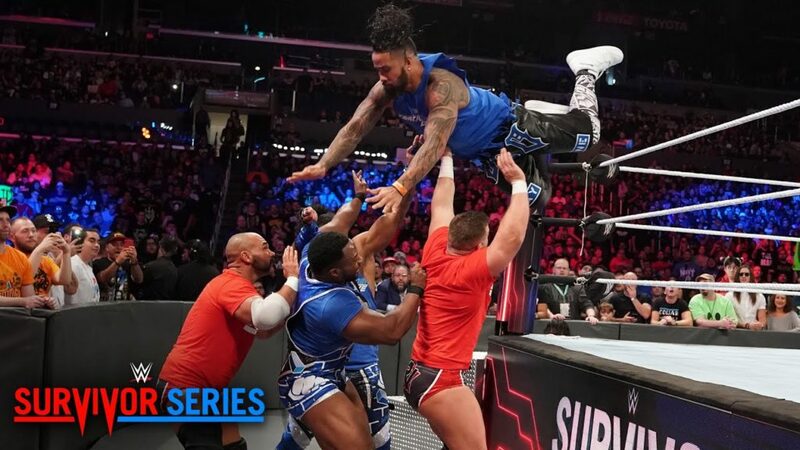 After that there were a few moments where SmackDown shined but it was the Red team again that won the match when Strowman pinned 4 out 5 Superstars from the SmackDown and secured a victory for Raw by power-slamming the SmackDown Commissioner Shane McMahon for the pin. Raw Women’s Champion, Ronda Rousey faced SmackDown Women’s Champion, Becky Lunch’s last minute replacement, Charlotte Flair and what a match this was. These amazing women took each other to the very limit and even though this was the first time they had ever faced one another, it was clear that they both wanted to prove, who the better woman was. The match went back and forth where Rousey kept attempting the arm bar on Flair and Flair kept trying the figure 8 leg lock on Rousey. The match ended in a DQ when Charlotte Flair attacked Ronda with a Kendo stick and then a steel chair. Charlotte was vicious and kept attacking Rousey until the trainers came out. The crowd however loved Charlotte for it and booed the victim Rousey, who limped her way back to the locker room. Heavyweight Champions met last and it showed the world why Daniel Bryan was once the greatest at one time before he was forced to retire. This was his second coming, and boy did he put on a show. The WWE Champion representing the SmackDown, and had won the title days before the SummerSlam from then champion A.J. Styles through not so legal means but when he met Lesnar, he seemed possessed. Even threw Lesnar off his game early in the match during his entrance. 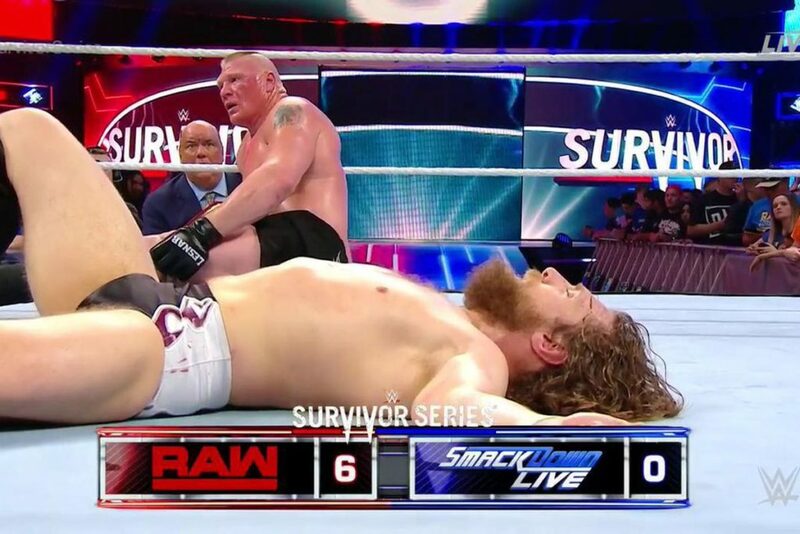 It is no secret that Bryan always wanted this match and now that it was a reality, people had no hope for the little man against the beast incarnate but this champion gave Lesnar a fight, he made the beast’s knee buckle and even almost made him tap by applying the face lock on him. The beast pulled the victory in the end for Raw with an F5 but Bryan smirked at him walking up the ramp. It was a night to remember and I for one, thoroughly enjoyed every second of it. If you have WWE subscription then you might have seen this already, but if you don’t then I suggest you get it and watch the show. It is worth the money. Watch Hollywood Blockbuster Movies on YouTube for Free!